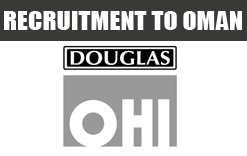 Douglas OHI L.L.C is a joint venture Omani-British Company established in 1981 to carry out construction projects in the Sultanate. The Omani Partner is Oman Holdings International Co. S.A.O.C. The British Partner is Interserve Plc, which changed its name on 7th March, 2001 from Tilbury Douglas Plc, a long-established and substantial construction group listed on the London Stock Exchange. Tilbury Douglas Plc was formed in 1992 with the merger of R.M. Douglas Plc and Tilbury Plc resulting in a diverse, financially strong company with excellent technical and management capabilities. An International Civil Construction Company Requires for their Industrial, Oil & Gas Project. Free Recruitment, Shortlisting in Progress. Candidates preferably with experience in Industrial / Oil and Gas Projects.